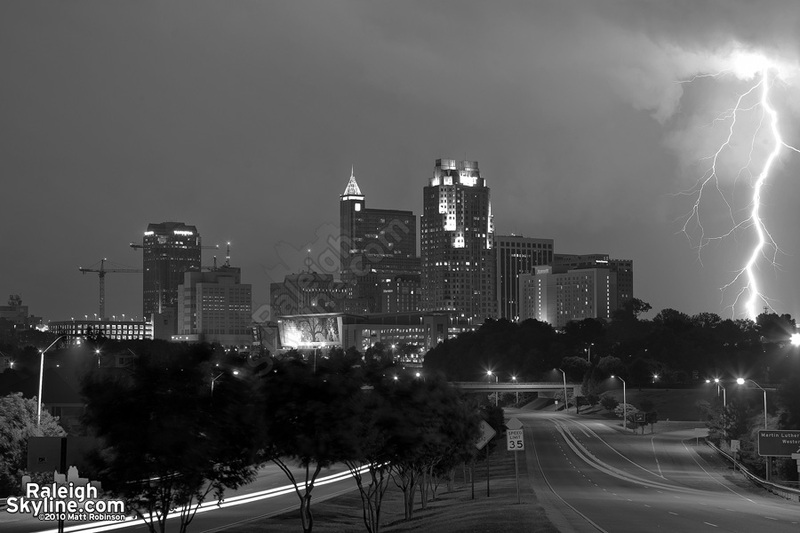 A long time goal of mine was to capture lightning actually striking a downtown Raleigh building. 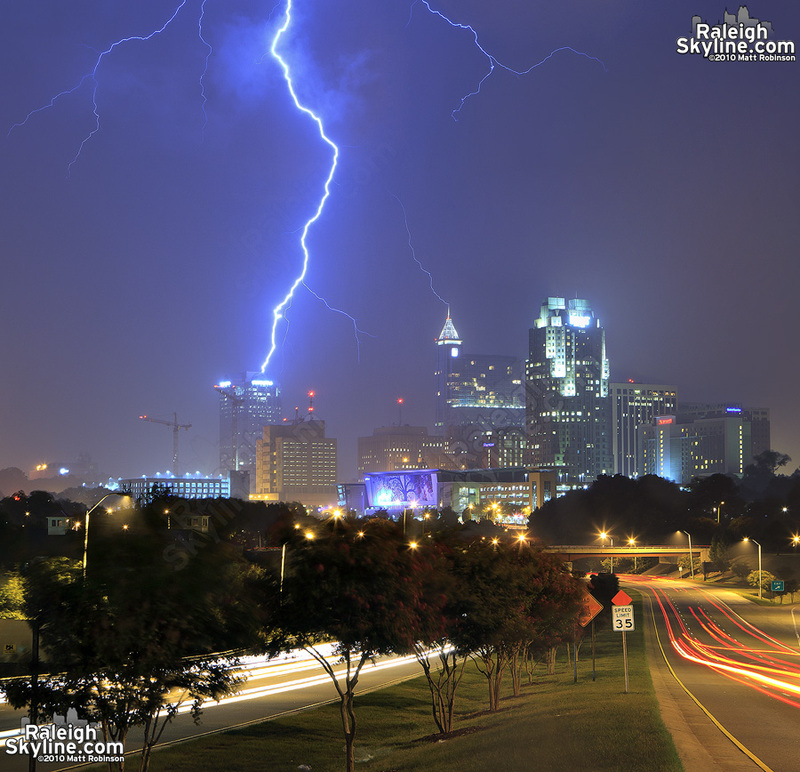 This happened on July 29, 2010 as a severe thunderstorm set off a barrage of strikes mostly within the heavy rain. 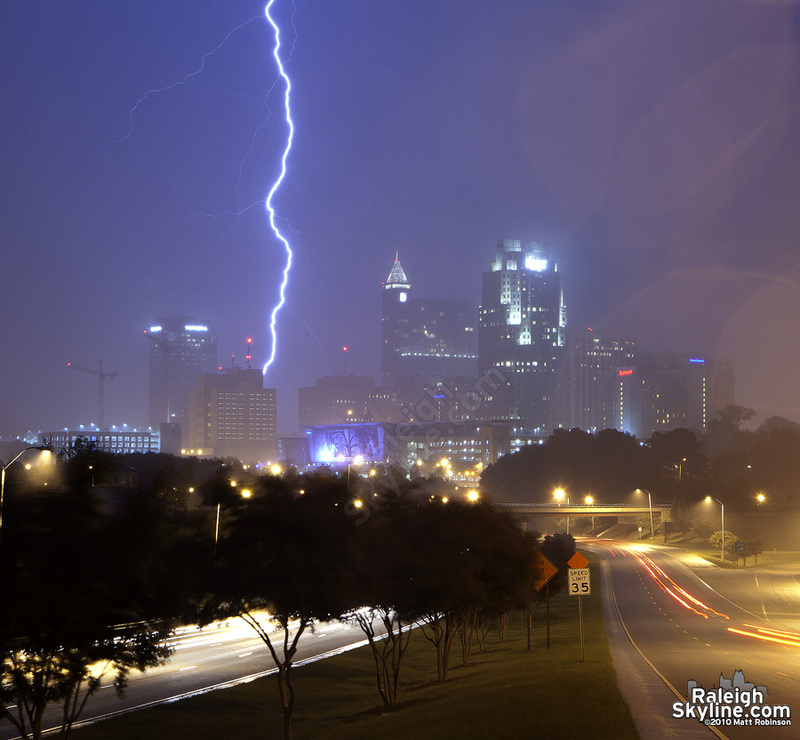 I witnessed at least three direct hits to Raleigh skyscrapers (…ok midrises?). 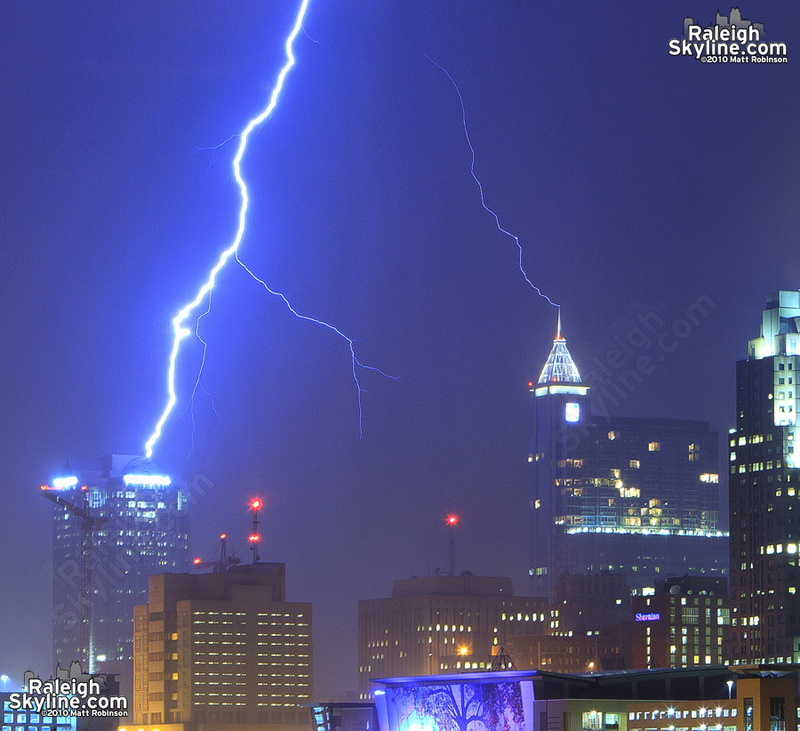 I managed to record one strike just as the rain came. 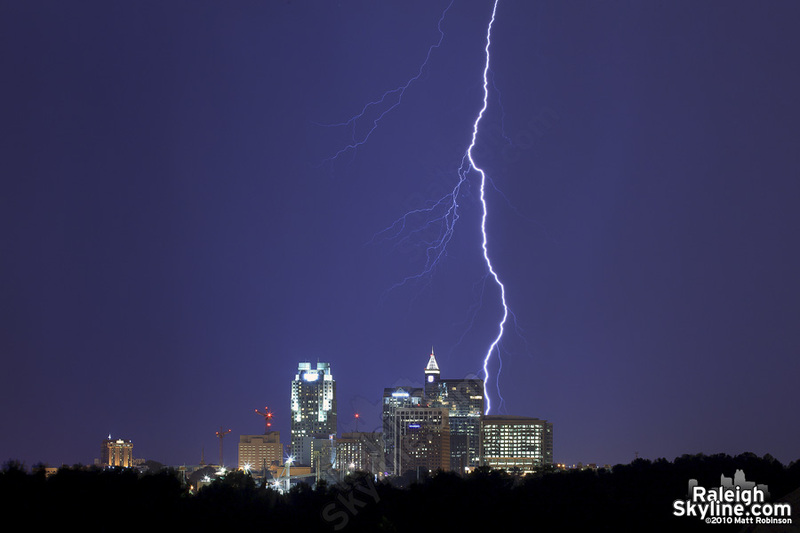 The bolt struck the southern facing triangular shape on top of Wachovia Capitol Center and nearly connected with RBC Plaza as well (notice the visible leader streaming off the spire). 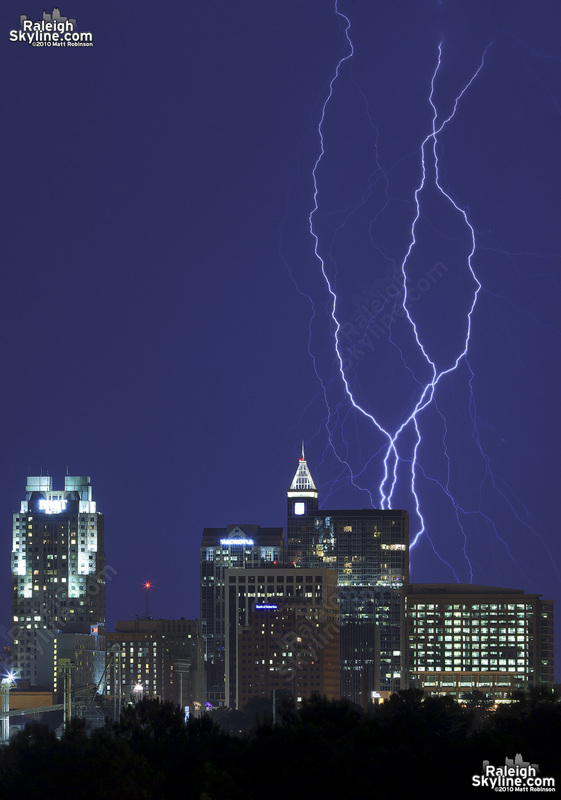 The rest of the photographs are various storms throughout July that I am just now posting.